Be Financially Ready: Step number one when saving for a down payment is to first decide if you are in the right place financially to save for a home. To do this, you must look closely at your finances. Do you know how to budget properly? Do you have a steady and reliable source of income? Do you have large amounts of debt or a bad credit score? All of these things must be taken into account. It is also important to make sure you find realistic price ranges for homes and shop around for the right lender rather than splurge out of excitement and end up with a home you can’t afford. 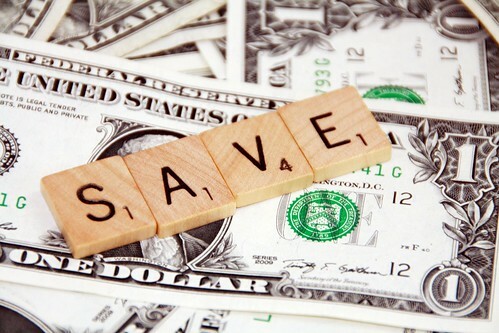 Reduce Large Expenses: While taking small steps such as skipping your weekly manicure, carpooling to work, or eating out less can help you save day to day, cutting out or reducing large expenses can help you save big in the long run. Take a look at your current rent situation. Are you living a little larger than you need to be? Taking steps such as moving to a smaller apartment or finding a roommate could help you save more than you think. Other large expenses would include vacations, automobile expenses, and costly electronic devices or material items. Save Your Refund: While it is exciting to receive and tempting to spend, one big thing to help save for a down payment is the giant check received during tax season. Look at it this way. Your tax refund is simply another check of your earnings that should be planned and saved accordingly instead of spent frivolously. Create a Budget: One of the biggest steps to take in order to save for a down payment is to create a monthly budget. Take time to sit down, look at your income and look at your bills/expenses. Set a plan for how much extra you should be saving and stick to it as much as possible. If you are finding it difficult to avoid spending and leave your bank account alone, try setting up a specific savings account at your bank dedicated to your housing fund. After you have made the account, put money in regularly and remember that it is off limits. Bring in Extra Bucks: When saving for a down payment, there are other measures one can take to accumulate extra income. Getting a part time job on the weekends and saving up extra cash may not be ideal, but the reward in the end is far greater than the temporary situation you would find yourself in. If finding a second job is out of the question, try selling unnecessary items online or ask for extra hours/overtime at work if allowed. ← Should You Sell or Renovate Your Home?